Mari Herreras Former Pima County supervisor Ed Moore questions the recent agreement to sell the county's nursing home. Ed Moore says there's no hidden agenda behind his challenge of the proposed sale of Pima County's nursing home. He says something just doesn't feel right. Moore, who served three terms as a Pima County supervisor until 1997, says he has a "concern for Pima County taxpayers," and after studying documents and researching the buyer, he says he questions the legalities of the bid process. On Monday, Sept. 12, Moore filed a letter of complaint with the Pima County Attorney's Office, asking County Attorney Barbara LaWall to take a closer look at the request for proposals and bid process to sell the 156-bed Posada del Sol facility, located south of Grant Road on Craycroft Road. Moore questions why Pima County accepted the bid offered by Hunter Properties Investment for $7.8 million, and not the highest bid, from Mavin Enterprises, for $9.1 million. Moore's complaint also questions the county's hiring of a Chicago real estate agency to sell the nursing home, while not issuing a request for proposals or doing any local advertising; he believes this is in violation of state law. There was also an odd change made in the bidding process, Moore says: On July 18, four prospective bidders were asked to provide $500,000 with the bid, rather than the $250,000 that was first requested. "(This) is not standard in the industry," Moore wrote in his letter to LaWall. Moore says he also plans to take the case to the state Attorney General's Office and seek further legal remedies. Tucson attorney Michael Rusing also sent a letter to LaWall's office, on Tuesday, Sept. 13, on behalf of Mavin Enterprises, the highest bidder.He echoed Moore's concerns and requested a full investigation "of these irregularities." The purchase agreement between Pima County and Hunter first went in front of the Board of Supervisors on Aug. 2—but the vote was delayed because of concerns about Hunter Properties' alleged history of nursing-home violations at its facilities. The concerns focus on Eric Rothner, the Hunter Properties manager, who is mentioned extensively in newspaper reports and legal blogs regarding violations and abuse allegations at nursing-home facilities that he owns or co-owns in Illinois and Indiana. The county then sent Pat Wilson, Posada del Sol's administrator, and Amy Fish, special staff assistant for the office of the assistant county administrator for health policy, to Nebraska for site visits of two properties. This included Lancaster Rehabilitation Center, a facility that Hunter's LLC bid on last year from Lancaster County. They returned to Tucson with positive reviews, ending their report with: "Both of us would be comfortable with a family member residing in either of these facilities ... (and) we recommend that the board proceed with approval of the purchase agreement." On Aug. 15, the Pima County Board of Supervisors voted 4-1 to approve the purchase agreement with Hunter. Supervisor Richard Elías voted against the deal; he later told the Weekly that he remains concerned about the allegations at nursing homes affiliated with Hunter Properties Investment. "I didn't feel comfortable with Avi (Rothner's) answers to my questions," Elías says. "He was nice enough, but some things he said left me more concerned." William Rothner, also known as Avi, is the name submitted with the bid for Posada del Sol. According to an LLC search for Hunter Properties at the Illinois Secretary of State's website, Eric Rothner—William's father—is the owner. Elías says that William "Avi" Rothner asked not to be judged based on past issues that involved his father—issues that Elías says the son claimed are part of a "political conspiracy." "That wasn't a really good answer," Elías says. 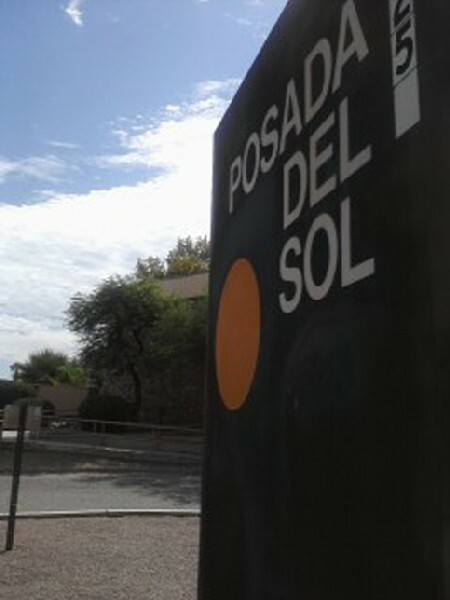 Keeping the current employees at Posada del Sol is also a concern for Elías. The purchase agreement with the county stipulates that to "ensure continuity of care," current employees are to be guaranteed offers of employment similar in pay and benefits to what they receive under Pima County. "He was not as definitive about taking all our employees as he should have been," Elías says. "He was a nice enough gentleman, and he wasn't combative, but his answers didn't make me feel comfortable." According to Pima County Administrator Chuck Huckelberry, sales decisions in matters like this should not just be based on bid amounts; other criteria are also important, like assuring that patients will be well-cared-for and that the 300-plus staff members will continue to be employed. It's also important that those who bid show that they can obtain the needed licenses and meet state and federal criteria. Mavin Enterprises, Huckelberry says, was unresponsive when the county's search committee asked specific and detailed questions—for example, about what skilled nursing facilities the company currently owns. "This was a two-tiered process. First, we had to find out what was out there, and then we had to find out which bidders are capable of acquiring a facility, and that requires more-detailed information," Huckelberry says. Regarding Moore's complaint that the county hired a Chicago firm to help find qualified purchasers, Huckelberry says the sale of Posada isn't a standard real estate transaction, because it involves a public long-term care facility. "This company has experience selling publicly owned long-term care facilities, including nursing homes," Huckelberry says. The change in the amount of earnest money from $250,000 to $500,000 was to make sure that bidders were serious. Mavin, according to Huckelberry, didn't respond. "We are absolutely willing and prepared to defend our decision," Huckelberry says. Huckelberry says the county was indeed concerned about the issues brought up regarding nursing-care facilities owned by Eric Rothner; that's why two staff members were sent to look at the facilities in Nebraska owned by William "Avi" Rothner. A letter from William "Avi" Rothner, provided to the county, explained that when he first bid on Posada del Sol, the initial bid came from Hunter Properties, but that once the sale is complete, he will create a new LLC for the facility. Eric Rothner does not have ownership in the Nebraska facilities, and will not have ownership in Posada del Sol, William "Avi" Rothner told the Weekly. He says he thinks Moore's allegations are part of a smear campaign by Mavin Enterprises. "That's a dirty pool I don't play in," Rothner says, adding that Mavin sent him a letter offering $1 million to flip the contract to Mavin. "I'm not interested in talking about Mavin. We did this bid properly, and we reached out to the county and answered all their questions. That's what matters," he says.